Our practitioners are great listeners and will have relevant questions to ask you. Firstly, you can expect to be treated with respect and concern for your health. Your time is valuable, so every effort is made to see you at or very close to your scheduled appointment time. On rare occasions a patient may unexpectedly need extra attention and treatment which may cause a short delay. You can be assured that you will also get all the time and attention you deserve! After completing the required new client paperwork (you only have to do this once), you will have your consultation. This is your opportunity to express your health concerns and goals as well as ask any questions you may have. Our practitioner is a great listener and will have relevant questions to ask you. 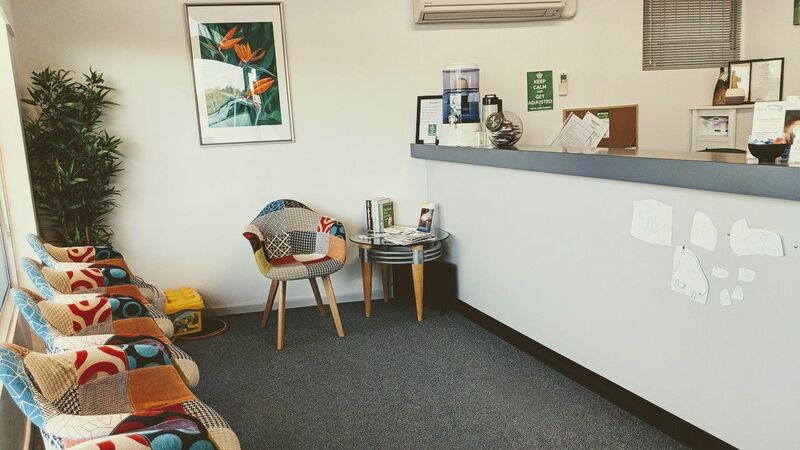 Whilst many people come to Total Body Fusion for help following a specific injury, such as a car accident, fall, work or sports injury; people are often unsure as to what is causing the problem. Your past and present health history and lifestyle (work and recreation) often provides clues to the nature of your problem and how you can be helped. A physical exam will be performed to follow-up on possibilities arising from the consultation and to rule out serious problems that may be involved. Standard range of motion evaluation, orthopeadic testing, neurological testing and muscle strength testing is performed, as well as a specific chiropractic evalutaion. During the thorough chiropractic evaluation, the practitioner will observe your posture and movements whilst standing, sitting, walking, rising from a seat/table to obtain important information about your problem. Our practitioner, like most chiropractors, also rely a great deal on palpating, that is touching the patient to get information. The spine, muscles, ligaments, fascia and extremities (legs and arms) are palpated to obtain information which is not provided in any other way. New and old injuries, chronic muscle tension and poor posture all leave an effect on the body which needs to be palpated to be treated effectively. X-rays are usually not required, however, if they are deemed to be necessary you will be referred to a professional radiology facility in the area. The majority of people attend Total Body Fusion for a painful problem, so treatment on the initial visit is designed to provide relief and to begin the healing process. Chiropractic adjustments, Cold Laser Treatment, Active Release Technique, Dry Needling, neuromuscular re education and physical therapy modalities (such as heat/ice) are used primarily in the first visit. Rocktaping may also be applied to provide additional relief and support throughout the day. The only time you will not receive treatment is if it is deemed contraindicated or you are not a candidate for chiropractic care. The chiropractic adjustments, even on the first visit, aren't usually painful and the majority of patients experience immediate relief. At the end of the treatment you will be shown some simple stretches and exercises and given some effective instructions on ways to minimise pain and accelerate healing until your follow-up appointment. Before you leave you will have every opportunity to ask any questions you have regarding your condition and what to expect after the initial treatment. This initial consultation and treatment usually takes 1 hour. Our practitioner will provide a thorough report based on the examination findings. We will refer you for x-rays if necessary. You will be informed about the best treatment options for your condition and your treatment will continue. This visit will normally take about 30 minutes. Regular visits normally take between 15-20 minutes. During this time you will be adjusted and muscular conditions will be addressed as required. You are free to ask any questions or discuss any issues during your treatment. Proudly serving Morningside, Carina, Cannon Hill, Norman Park, Camp Hill and of course Brisbane.